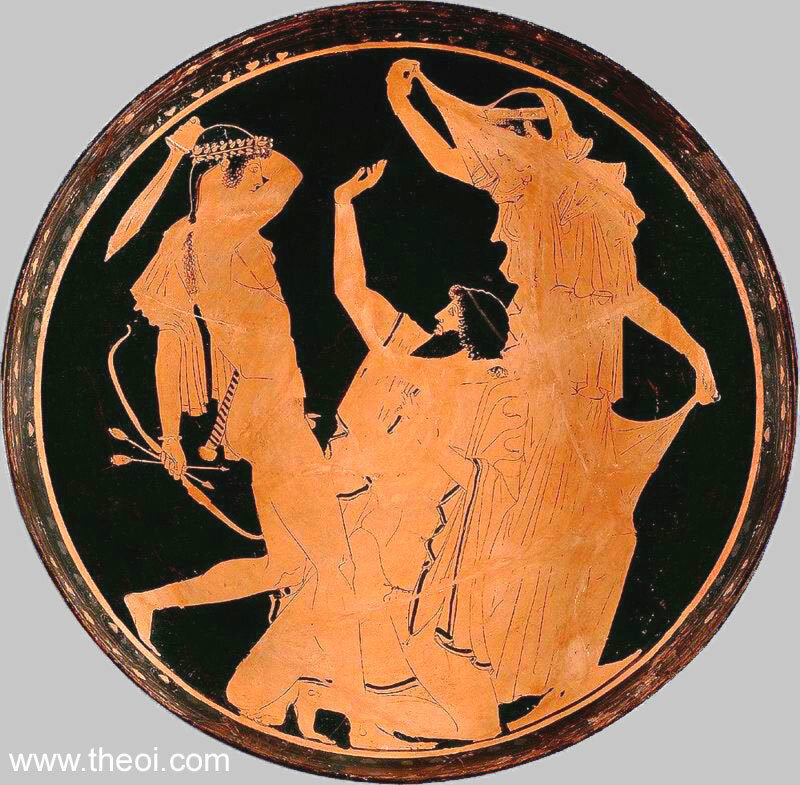 Apollo rescues his mother from the giant Tityus. The god is depicted as a youth with long, uncut hair, crowned with a wreath of laurel. He brandishes a sword in one hand and holds a bow and arrows in the other. The giant cowers before him on bended knee with one hand raised. The goddess Leto raises her veil in a gesture of feminine modesty.